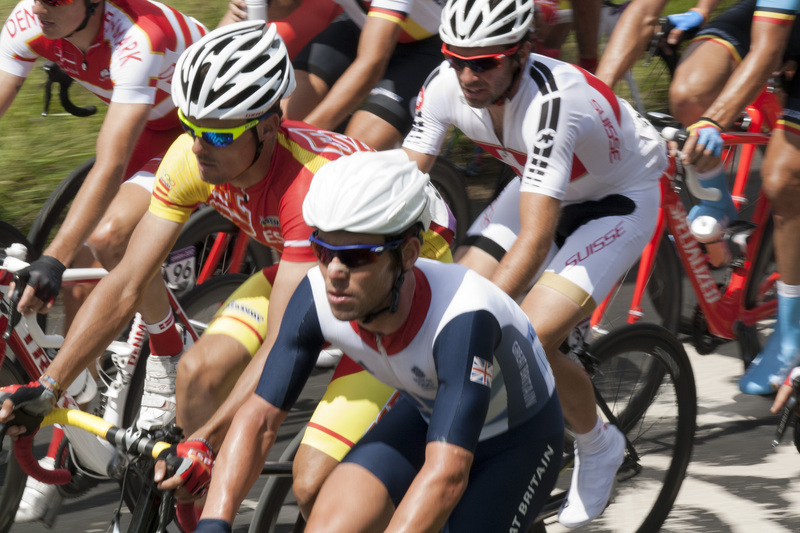 The British and world media may have been talking about London 2012 non-stop for the past year but the men’s Olympic Road Race did not disappoint. 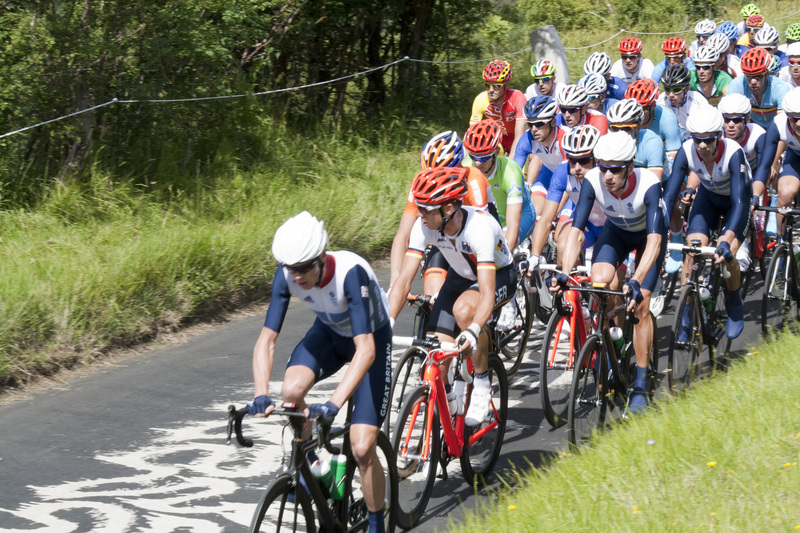 I was lucky enough to be on the race-making Straw Belle Slope on Box Hill with my brother @SteamyWynndows and saw some fantastic racing as well as humongous crowds. 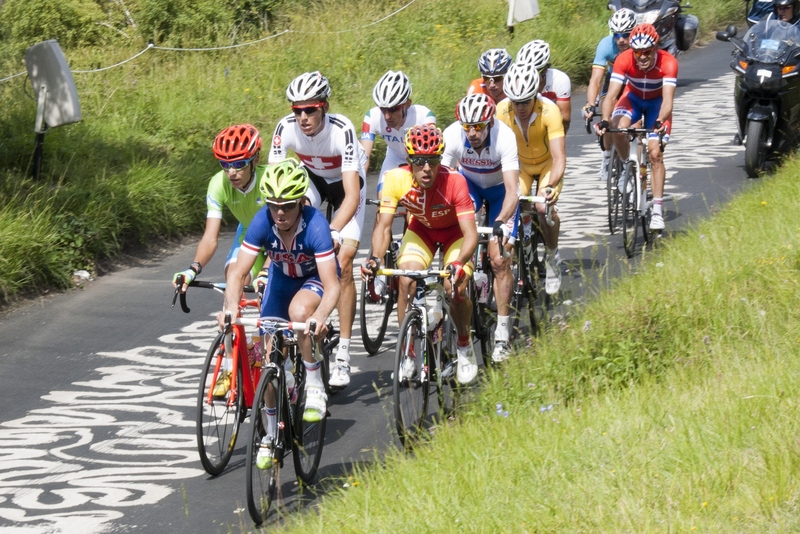 Having been to the Tour de France recently and knowing how well the French and ASO organise the event with military precision, I was slightly worried (read petrified) at how the British organisers and LOCOG would mess up the race organisation and logistics. The ASO have had years of experience at putting on their largest event and although we have a superb set up in this country for the Tour of Britain and the criterium series, The Halfords Tour Series, I had a sneaking suspicion that the Olympic powers-that-be may not have bothered to consult any of these event organisers for advice and just do what they thought was necessary. For once I will admit it… hold on to your hats people… I was wonderfully wrong. Enjoy that, you won’t be getting another admission like that! The race circuit was well thought out, but we already knew that. I dash out of London into the Surrey Hills and then 9 laps of an undulating course with Box Hill thrown in the mix in the middle. Let’s be truthful here, Box Hill is not difficult. I can climb it at not a bad rate but clearly not at Pro speed! 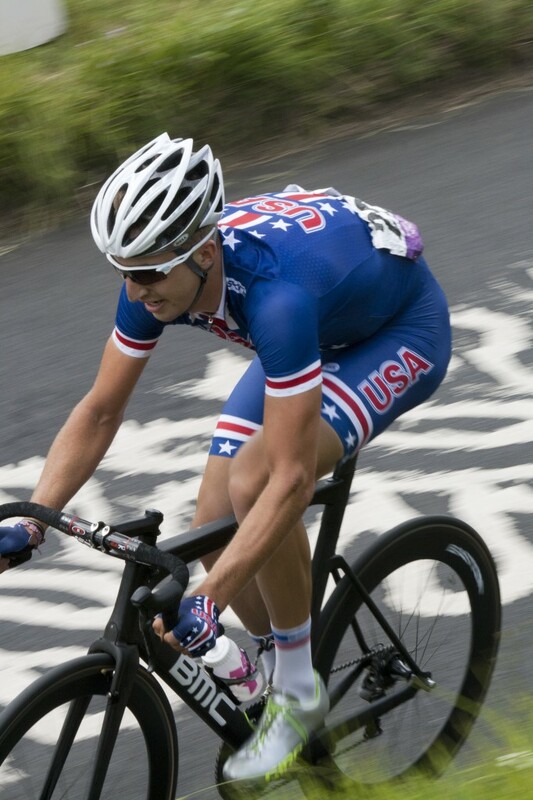 It was never going to decimate the field (although a fair few ‘lesser’ cycling nations felt the pace and fell off the back on the hill repeats) but having 9 laps of it defined the race and meant that teams (or just Team GB) would have to chase. The race route also took in some large but picturesque towns heading back to London before finishing in front Buckingham Palace. Already I’ve heard a few non-cycling friends (yes I have them!) say how beautiful the Surrey hills area looked and I’m pleased we got to see more than just an inner London crit circuit. The crowds were also unbelievable. At every point in the race the roads were 3 or 4 people deep and they were SCREAMING their heads off. Following the race David Millar said that he had trouble hearing his team mates talk to him even when they were only a few feet apart due to the noise of the crowd. I have no idea that the percentage of bikies to non bikies was in the crowd but it was probably close to 50/50 if not more in the favour of non bikies, which is incredible. [ED: Please be reminded if you do find this incredible… it’s not surprising as I just made it up]. 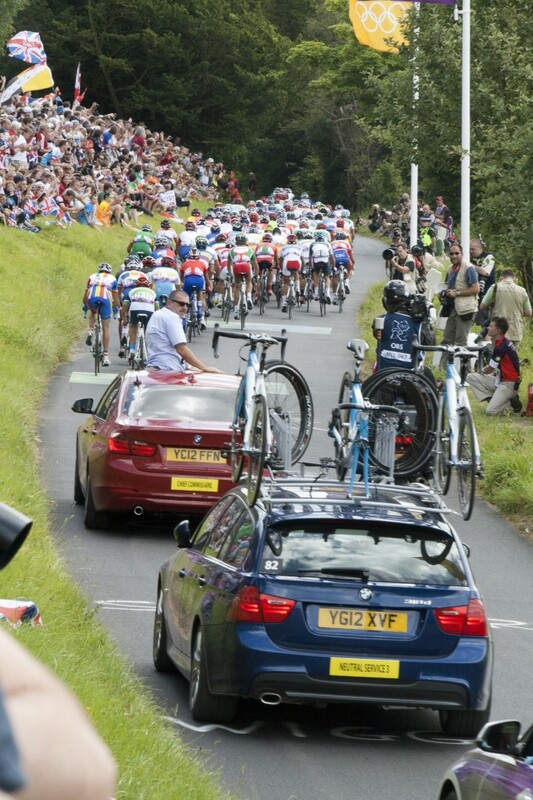 The crowds on Box Hill, which was the only ticketed area of the race were huge too and I was pleasantly surprised with the organisation and fluidity with which the got so many of us into the venue… which was essentially various bits of grass in the middle of a wood… on a hill! Although the Olympic Volunteers were as useful as a chocolate tyre lever the British Navy had been brought in to assist with crowds and the running of the event and they were superb, as our military always is with things like this. My only major gripe of the ‘venue’ side of it was that although there was secure cycle parking as part of our entrance ticket we had to cycle about 1/4 of a mile along a muddy track through the woods. With hundreds of people on road bikes doing this there was obviously a few mumblings and swear words but in all honesty there was nowhere else on the hill they could have done it and we all survived due to it being a baking hot day. I would not have wanted to use it for the women’s event the following day when we had Biblical rain! The major plus point of going to Box Hill to watch the race was not only would you get to see the riders a maximum of 9 times at a decent pace if you were on the hill but at Donkey Green, an area at the very top of the hill in a clearing in the woods, they had set up the largest TV screen I have ever seen with arena concert style speakers. There would be no fear of missing the final sprint as thousands of people tried to cycle home or try to cram into the nearest pub to watch it. We just strolled through the woods, sat on the grass and drank a beer. It was brilliant. There were thousands of people sitting watching the race, many of whom had never watched a bike race in their lives but seemed to thoroughly enjoy the excitement and the anticipation of a Mark Cavendish once-in-a-lifetime win. I was almost as excited to feel the reaction and buzz from all these fans as I was to see a Team GB win. But there had been so much hype about Cavendish in the run up to the race that if you are not a bike fan and understand all the nuances of cycle racing, you’d be forgiven for thinking it was a done deal. 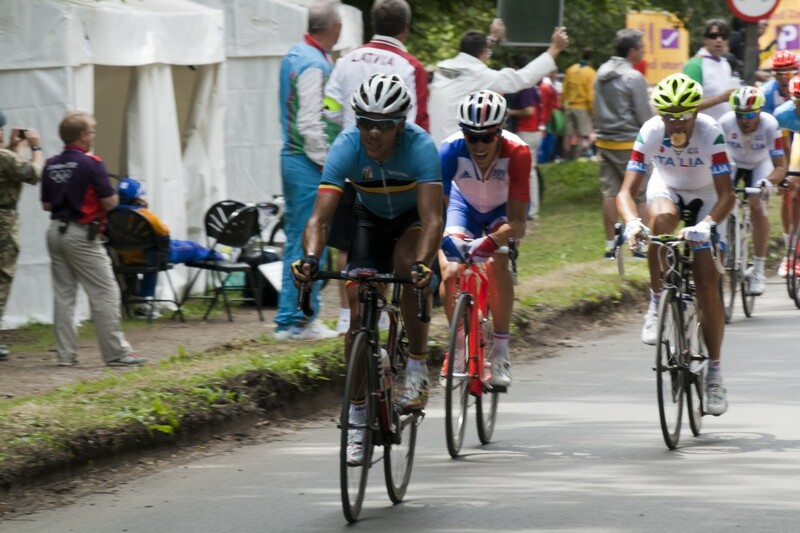 Even at the 20km it didn’t look like they were going to catch the break, the only real opportunity coming when Fabian Cancellara unceremoniously crashed into the barriers in Richmond Park after overcooking the corner and the break lulled briefly whilst the riders looked over their shoulders. 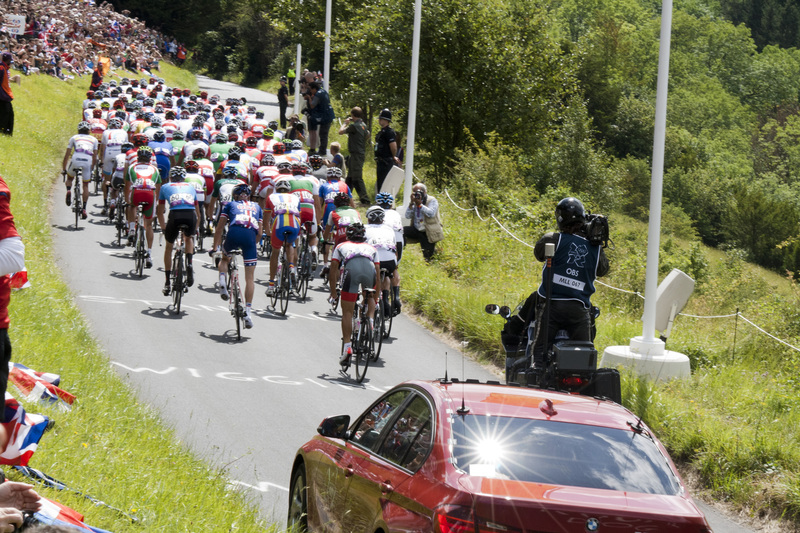 Philippe Gilbert put the hammer down and refocused the riders minds very quickly and the peloton’s chance was gone. A few hundred meters more of riders looking and watching to see if the fallen riders would get back on would have slowed the break enough for the peloton to gain on them, but alas, Team GB’s efforts at the front had been for nothing. 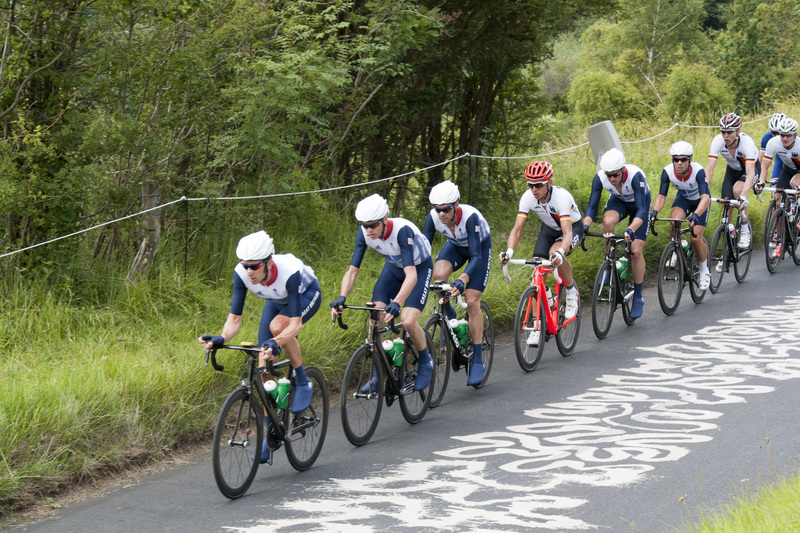 Apart from help from the German team, most notably Tony Martin who withdrew before the race left Box Hill, Team GB worked on the front alone the whole day. With many nations putting a rider in a break that had been militarily organised by a hugely experienced and loony Australian Stuart O’Grady there put all of their eggs in the ‘chase the break down for a sprint’ basket. They know it would be hard. They had described it as Team GB versus the world and it definitely turned out that way. I heard many non bikies asking why the other countries weren’t helping Team GB chase the break. It was too hot and I’d had too much beer to try to explain everything about cycling other than that riders don’t want to be in a bunch sprint with Mark Cavendish for obvious reasons and as with Team Sky, many teams would rather see the Team GB cycling team lose rather than try to win themselves. It’s a sad part of the sport currently but has only come about by the rider’s dominance of the sport. 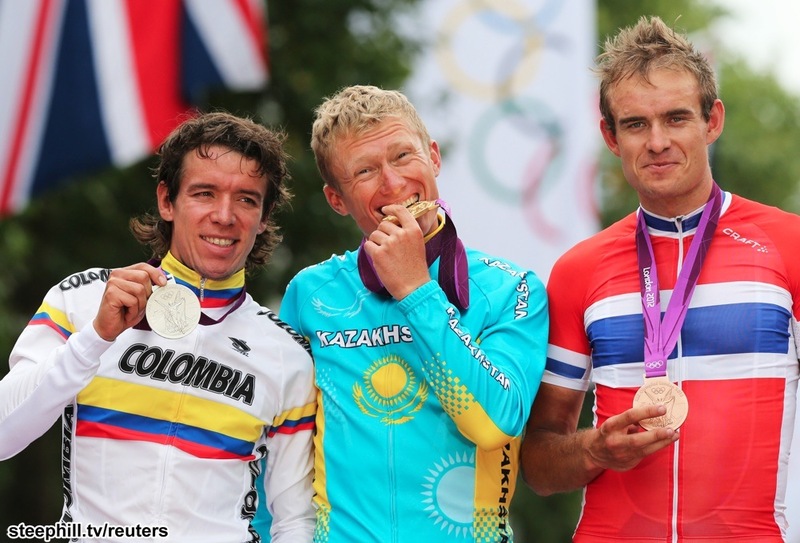 Some unintelligent journalists have already made noises about a rider who previously got caught for doping has now gone on to win a gold medal in the Olympics. I’m not sure what would have happened if Cav had won after being supported by one of the most open ex-dopers in the sport but that’s the fickle world of the media. I’ve always enjoyed watching Alexandr Vinokurov. He’s a gutsy rider who has style, grit and loves to attack. When he jumped after Uran it looked the perfect Vino move and I thoroughly enjoyed watching him win. I’ve already heard many cycling fans say the same thing and I believe within our sport he is a worthy winner despite his unclean past. as this occasion i am reading this impressive educational post here at my house. tool no survey is like a society with out knowledge, in that it is crunchy on the outside but soft in the middle. Hope you had a great time. It must have been really impressive to watch the race live. Jealous. The only thing you were missing was a win by cavendish. 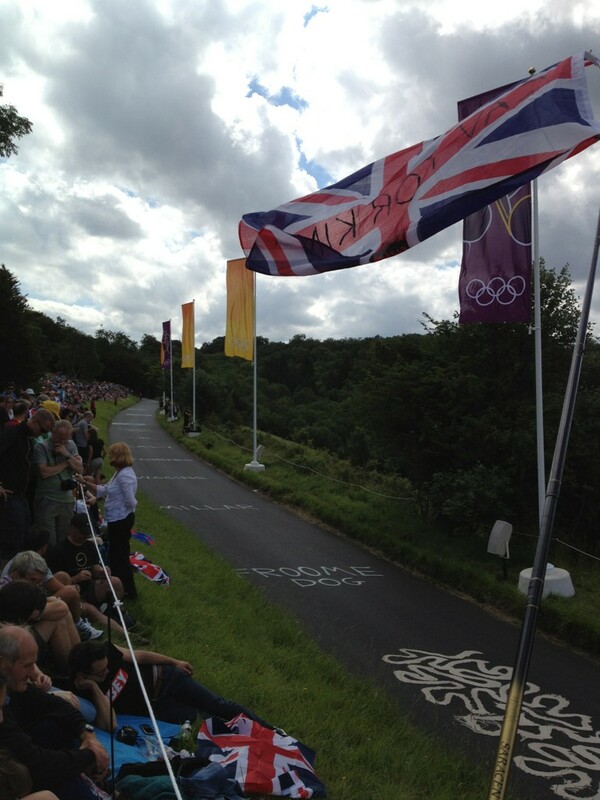 I’ve always wanted to watch an olympic cycling race live. It looks like the set up was nice for the race in London. Are you going to the Time Trial as well?